I have a Nook and one of the best things about having a Nook is the access I have to Project Gutenberg. This is a website which offers classic books in e form. This means I can download, for free, my beloved Charlotte Bronte books! 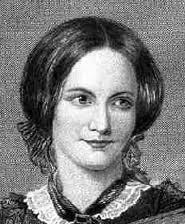 I first became aware of the Bronte family after I read Jane Eyre while I was in Junior High. I'll never forget the impact the surprise "in the attic" had on me. Boy! Talk about conflict. Was there ever a better hook written? Since then I can't count the number of times I've read that book, and I have also read all of Charlotte's novels. I am currently reading Shirley and I just finished The Professor, thanks to Project Gutenberg. I highly recommend this site if you are a lover of classics and would like to download an ebook. Ahem...now you'll have to excuse me while I turn on my Nook, curl up in my bed and go back to 1849 with Charlotte. So glad you're enjoying it. Was never a big Bronte fan, but I liked Jane Eyre. Project Gutenberg is VERY cool. I enjoy Charlotte Bronte novels! What a great project! Thanks, Jo and Rita.I appreciate you reading and commenting! Yes, Jo, she can be wordy, like many authors of her time, and she has an annoying habit of writing full paragraphs in French. Have to use Google translate sometimes--LOL! Oh, Dee...I love this post! So wonderful to meet someone who likes 'Jane Eyre' as dearly as I do. I got a Kobo for Christmas, (Canada's version of the Kindle). So far I haven't downloaded any books because I'm busy reading through the hundred classic books that came already loaded on it. Am currently re-reading the Jane Austens which is also great fun. Just finished 'Uncle Tom's Cabin'... a more difficult read with it's harsh racism. That is so wonderful! I would like to get a Nook or Kindle. Why do you prefer the Nook?